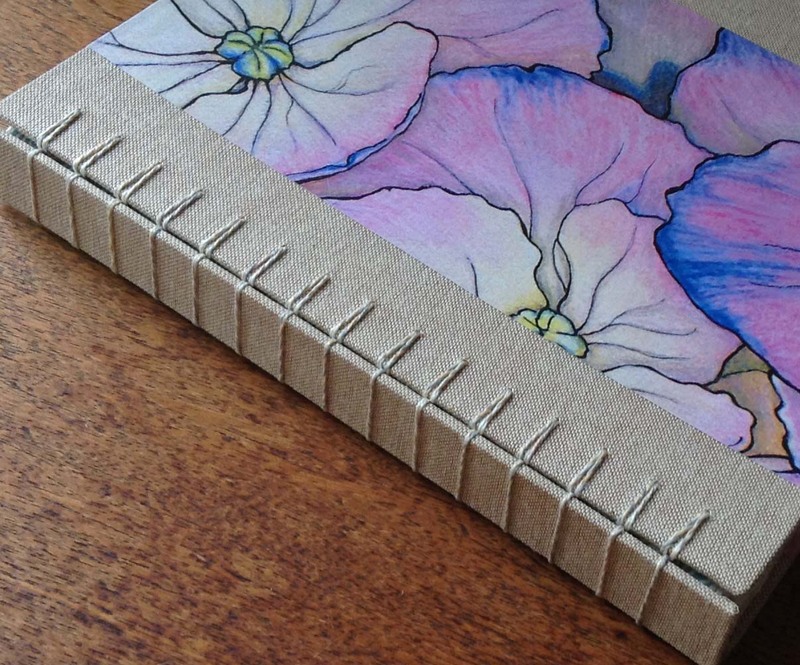 Here is the last book I made in my book binding frenzy. 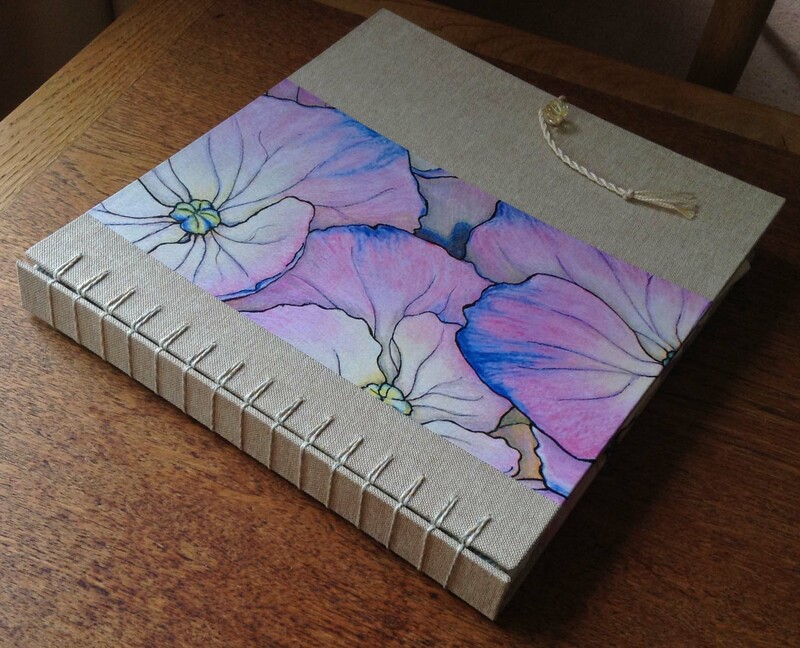 it is a journal with thick watercolour paper pages. I made it for myself for a little drawing project I wanted to undertake. It is bound using the ‘Secret Belgium’ binding technique. Don’t you just love the title, how could I not have a go at this. 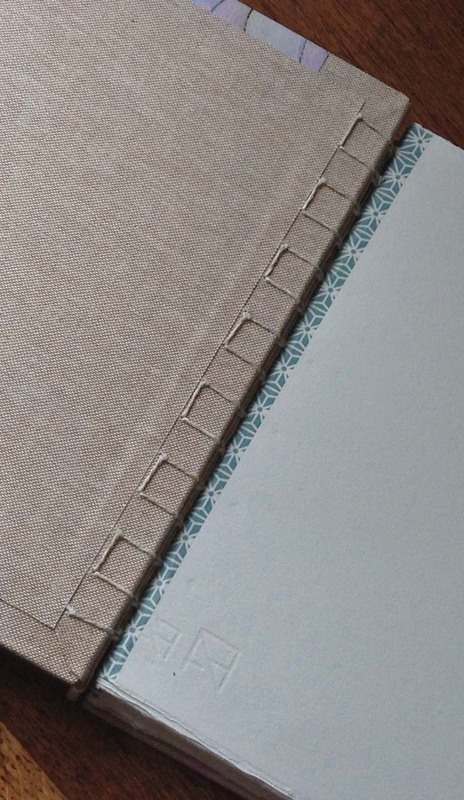 This binding technique is similar to coptic but it has a spine that is sewn. A slightly tricksy technique but I am very pleased with the finished result. I added a couple of extra details to this book, it has a closure of a crystal button and a handmade cord, which I finally choose after a weeks dithering around with a multitude of different options. I am far more decisive when making decisions for other people and hopeless when it is something for me. It took me four months to choose paint colours for my house and I was able to choose all the colours for a whole house in 3 hours when I was a colour consultant. I also added washi tape to the edges of the papers to give it greater strength, a nice subtle touch to the journal. So that is the book binding for the moment, I have been drawing in my journal and have started a new large art work, so plenty happening at the moment. This entry was posted in 2014 Artwork, Paperart and tagged art, book, book binding, books, colored pencil, coloured pencils, drawing, drawings, flower, flowers, handmade journals, Hydrangea, journal, journals, secret belgium binding. Bookmark the permalink. Each one of your books is a work of art. Ah Karen, another beautiful work! It makes me want to pull out some book board and get gluing! Now I’m intrigued by this binding technique. Time for a little research. I am loving your frenzy. Those books are lovely. I am the same way. I love your results.